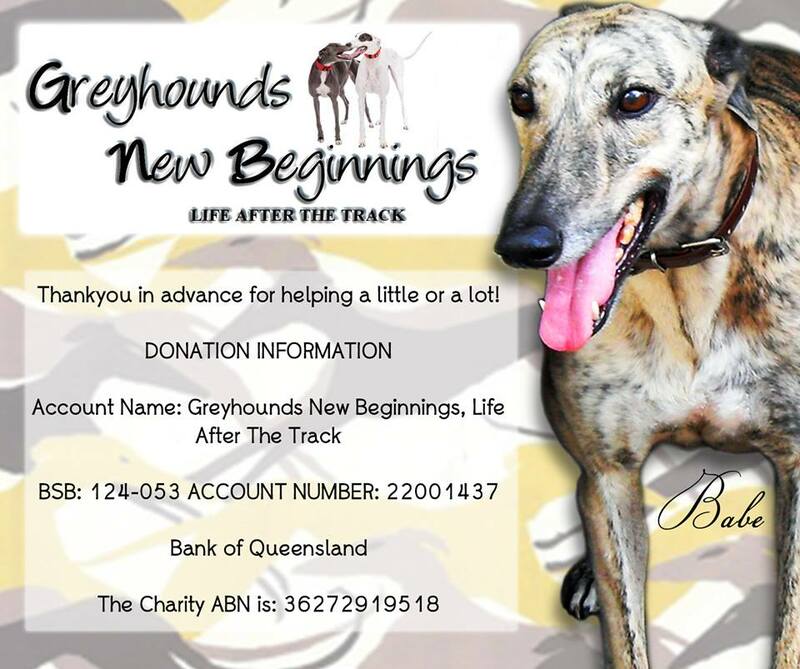 Greyhounds New Beginnings is a Brisbane based not for profit registered charity. 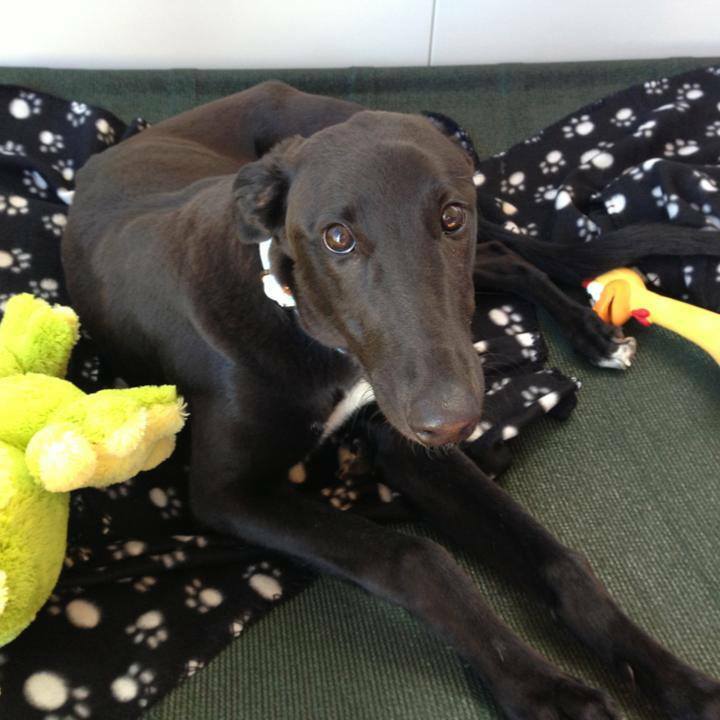 Our aim is to rehome ex-racing greyhounds and provide them with a second chance at life in a loving forever home. Our mission is to improve the lives of all Greyhounds through education, rehabilitation and collaboration. See our list of greyhounds for adoption or for more detail go to our website to find your next family member and give a beautiful greyhound a new beginning! As we are a self funded organisation run solely by volunteers, donations are urgently required to keep us in operation. 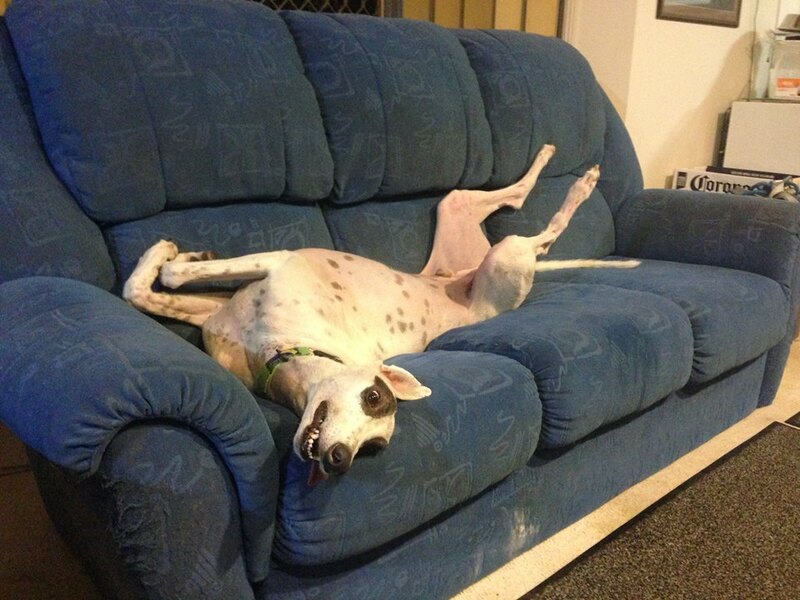 We are a Registered Charity to re home ex-racing greyhounds. We also have DGR status so all donations are tax deductible. If you'd like to donate now scroll through the images above and you'll find the details you need.